Jessica Wright and Stacie Flinner know how to create the perfect travel photo for Instagram. Take a quick scroll of their accounts, and you can see why they have 120,000 followers between them—it's because these women make adventure seem effortless. From the cliffs of Cassis, France, and the beaches of Sydney, Australia, to the manicured lawns of Nantucket and mosaics of Morocco, Wright and Flinner have zigzagged across the Earth in such a way that it makes their followers feel as though they're along for the ride. So since we're among their loyal fans, we had to ask: How do they deal with the not-so-glamorous aspect of a long flight? In order to get from point A to point B as seamlessly as possible, Wright and Flinner always pack a few must-have accessories in their carry-ons. These items are light and easy to handle, and they're also capable of turning a stressful experience into something a little easier to bare. Read on to see the eight travel accessories Wright and Flinner never board a long flight without and get a glimpse into the behind-the-scenes details of two famous Instagram travelers' secrets. 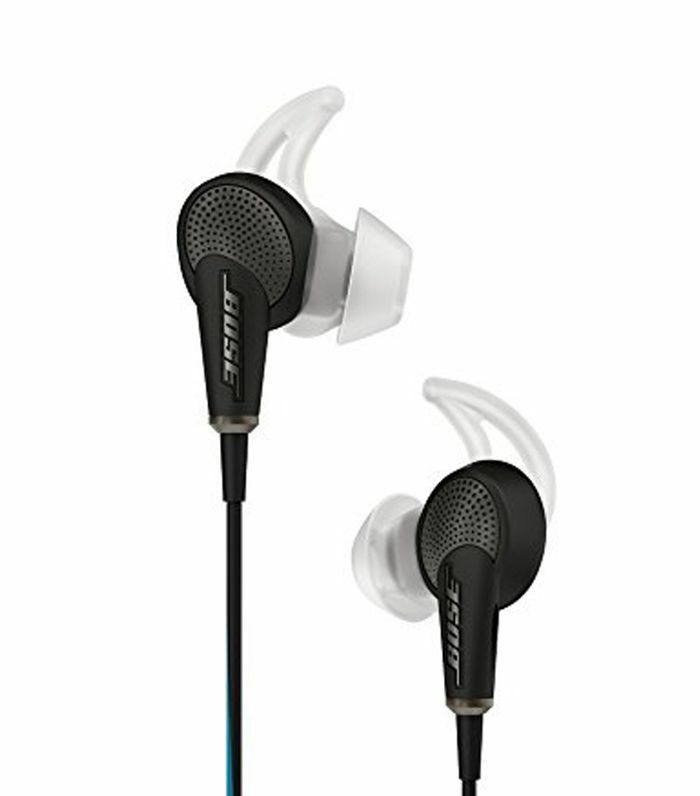 "I never leave home without my QuietComfort noise-canceling Bose earbuds," Wright says. "The minute I get on the plane, I pop these in and turn on a movie or listen to a podcast. All of my surrounding noise drowns out, and I almost instantly fall asleep." 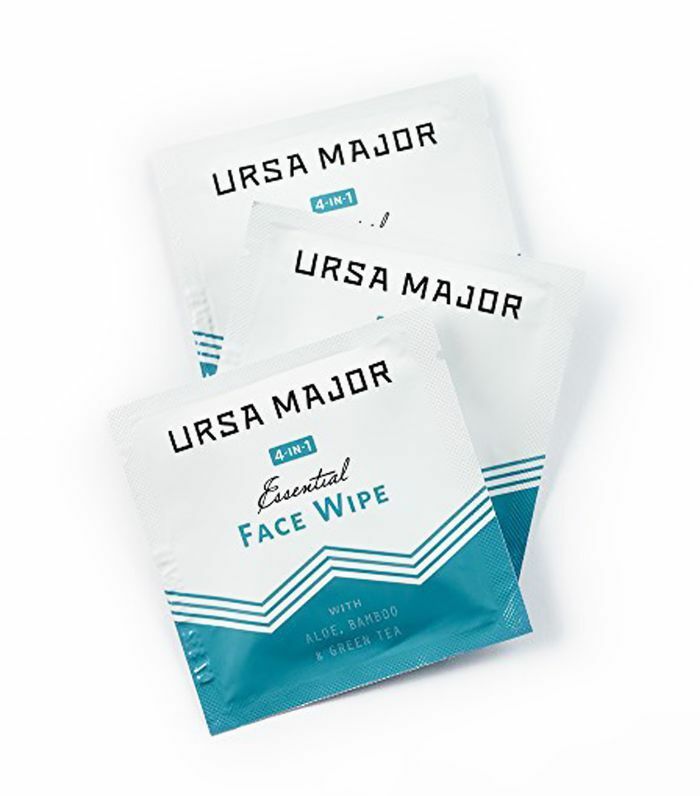 "You can always find a few of my favorite essential face wipes by Ursa Major in my carry-on," she adds. "I find that if you can elevate the flight experience with a little pampering, you don't feel so bad after the flight. These face wipes are perfect for one-time use that requires no water to rinse off your face." "My biggest secret for traveling is eliminating how many times I have to dig through my bag by using the F1 Seat Pack organizer by Flight 001," Wright continues. 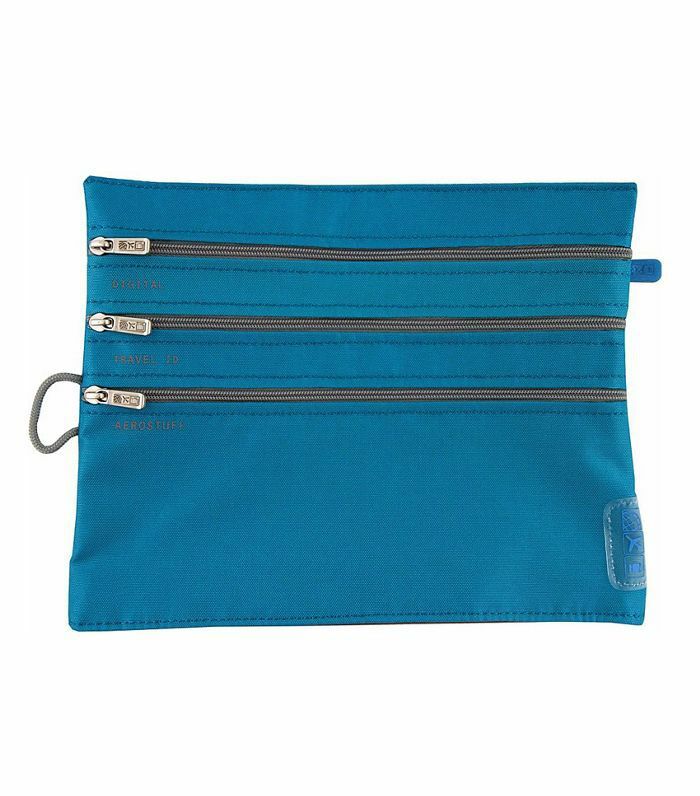 "It's this pouch where you can store everything you need for a flight, from earbuds to tissues to hand sanitizer, and pop it in your seat back. 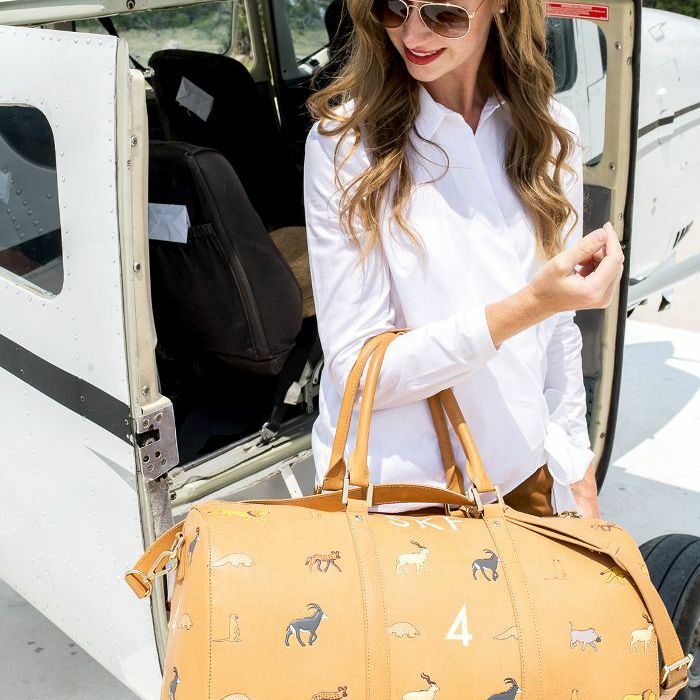 I stock it before my flight and have at the top of my bag ready to go when I get on board." 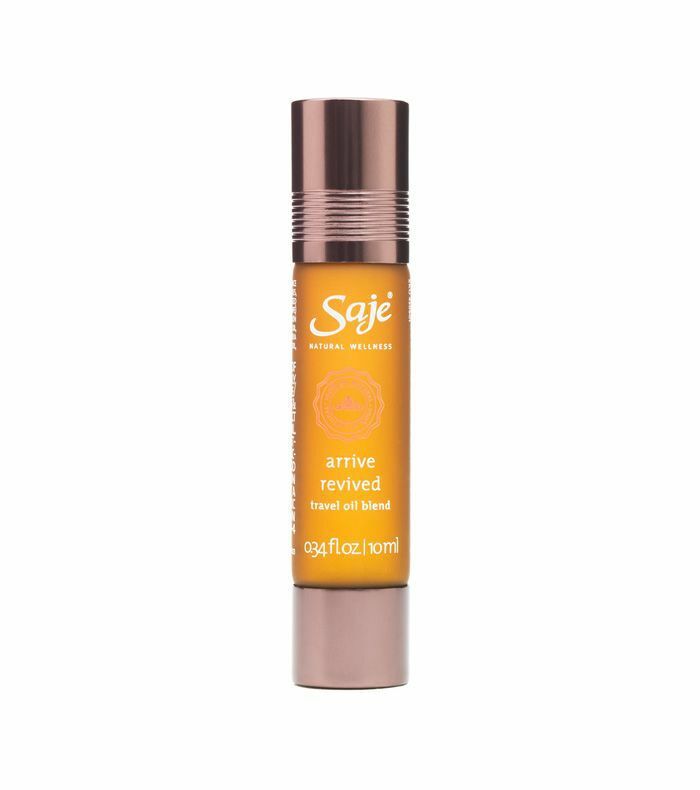 "My current favorite boost at the end of a flight is the Arrive Revived essential oil blend by Saje," she notes. "It smells so good and gets me mentally set for the chaos of arrival—I always have one of these with me!" 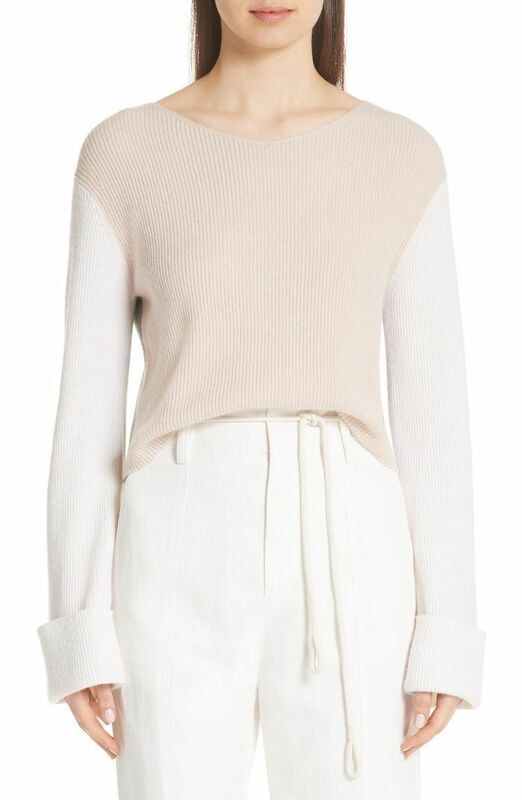 "I'm always freezing on planes so a snug cashmere sweater over my shoulders is a must—even on summer trips," Flinner says. 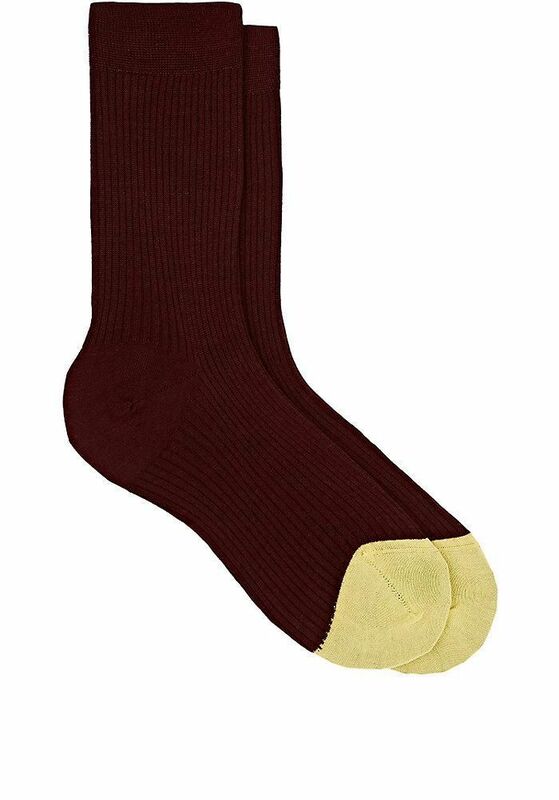 "Cashmere socks also come in handy if I have to remove my sandals at security," she adds. "I never liked wearing an eye mask until I found this one, which is molded so it doesn't touch your eyelashes and doesn't leave marks after a nap," Flinner notes. "My trips are usually tightly scheduled, so I try to only travel with carry-on luggage. And if I'm late to board, I don't want to run the risk of having my carry-on bag get checked," she says. 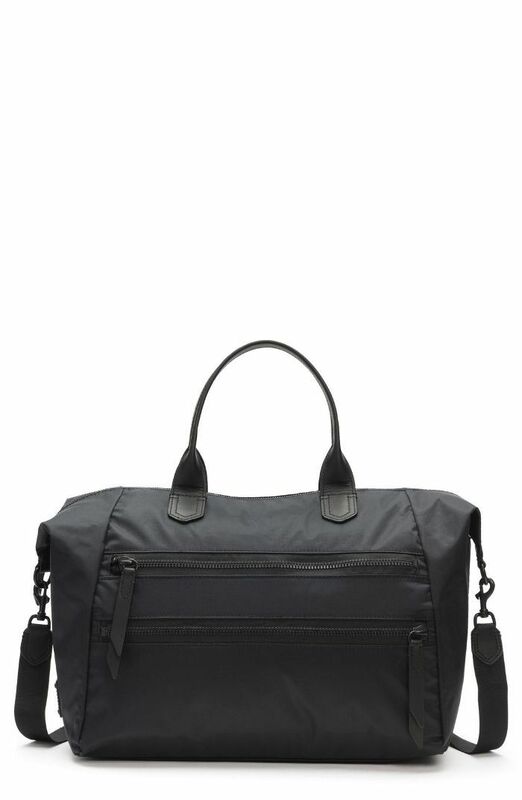 "Even if the overhead bins are full, I've always been able to keep my duffle in the cabin with me. They're more squish-able than roller cases, and having my bag 'within sight' always makes for a less stressful trip."